Language Systems Lifestyle! 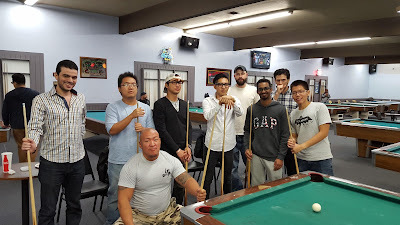 : A night of pool/billiards with Anthony! 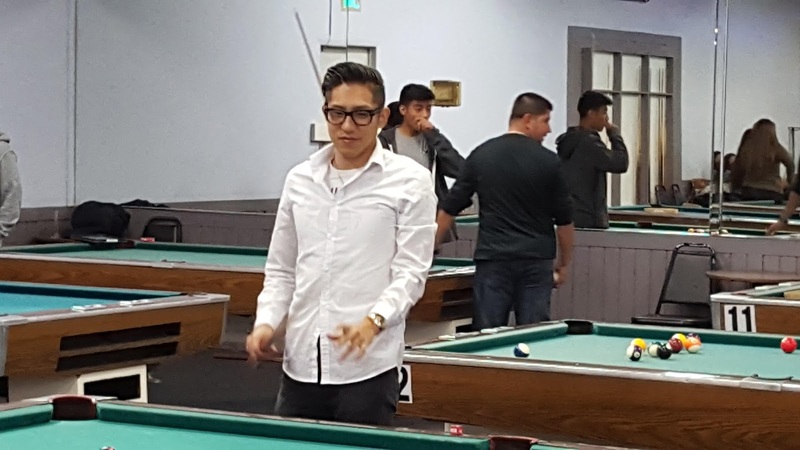 A night of pool/billiards in the Lakewood/Long Beach area was a great social event for the students from LSI #SBLA. 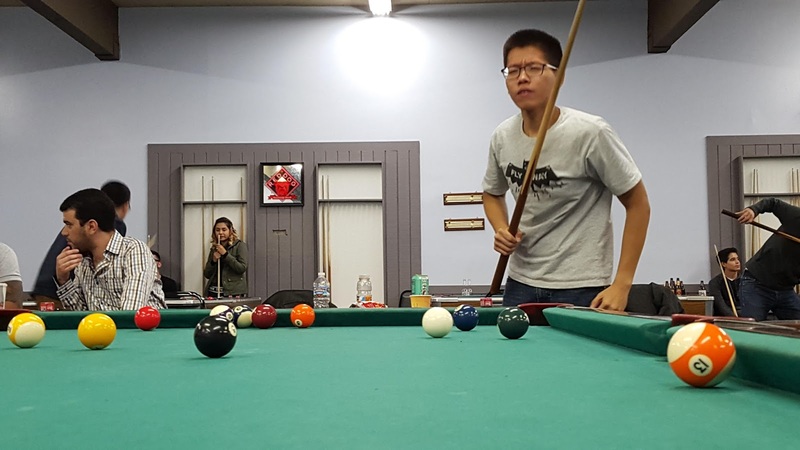 There was a showing of more than 13 students from a myriad of levels and backgrounds. 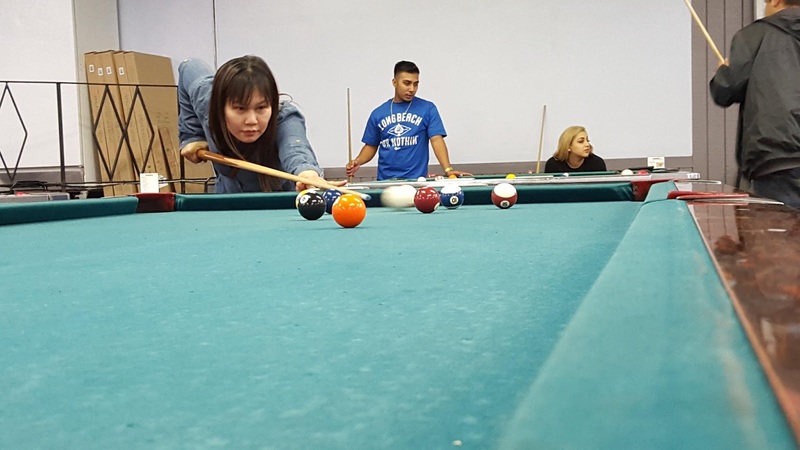 And aside from pool playing, there was American music and pizza from a local eatery. 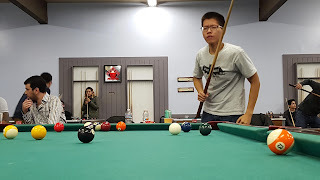 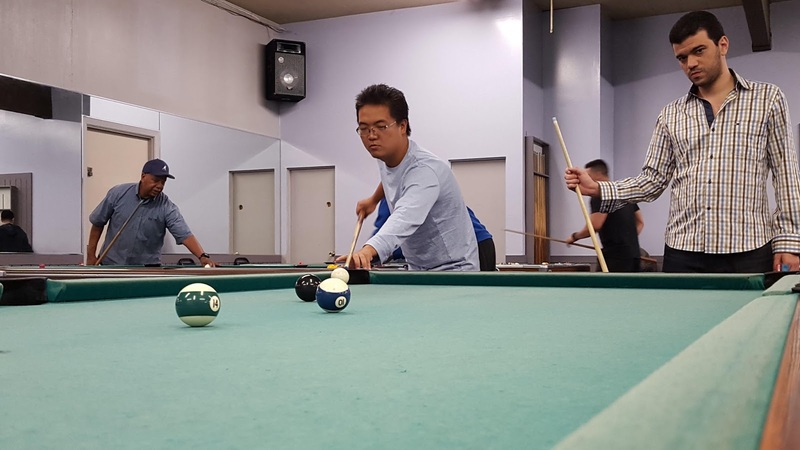 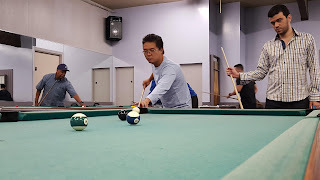 With the large number of students, we took over three tables at Lakewood Family Billiards and took turns learning and playing cutthroat, a three player version of pool, and standard 8-ball, a 1v1 or team version of pool. 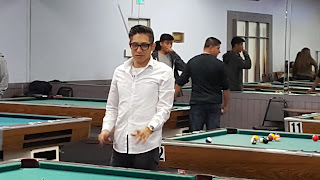 Students interacted with one another and with LSI teacher Anthony while practicing realistic English use and everyday American social skills.